WHAT a winter it has been. It seemed like it would never end. It started off with rain – lots of rain. Then came the frosts. And, finally, we had the snow. Heaven alone knows how many days golf clubs around Britain have lost to the weather, with courses closed for days on end, club pros twiddling their thumbs in their shops, wondering if it would ever end, and bar staff standing idly by, praying that somebody, anybody, would call in for a drink or a bite to eat. Let’s face it, it has been a miserable few months for everybody associated with this great game of ours. But, finally, the daffodils are in bloom, the blossom is on the trees and the grass has started growing, and all our thoughts have been consumed by The Masters. So we dust off our clubs and hope that it is not a false dawn, that we can at last get our golf seasons under way. For many of us, the clubs have been tucked away in the cupboard gathering dust. But now they are out, they have been cleaned and we are ready and raring to go. The last time you played you were carving everything right and you couldn’t hole a three-foot putt to save your life. But this is the year. You have promised yourself that this is the year when it all changes. This is the year when you start hitting the ball straight down the middle, when you stand over a must-make putt and drain it – time after time. You just need to get out there and do it. Right? Wrong. If you were slicing the ball off the tee, topping fairway woods, thinning iron shots and missing putts last year, why on earth should anything have changed in the interim? If you want to improve in 2018 then you need to go and get some lessons. Do a little bit of research. Speak to those of your friends who have had lessons. Every club professional understands the mechanics of the golf swing but not every club professional knows how to get the message across. People who have had lessons will usually have been to several golf pros until they have found the man or woman who can look at their swing, identify what your doing wrong and tell you how to fix it without filling your head with a million swing thoughts. Seek out a club professional who has built himself a good reputation as a teacher. And then decide what it is that you want to achieve. There is no point in telling a pro that you want to reduce your handicap (or even get your first handicap) unless you know that you have the time to go away and put into practice what your pro tells you. The worst possible place to try to make changes is on the golf course – that is where you should be perfecting things. 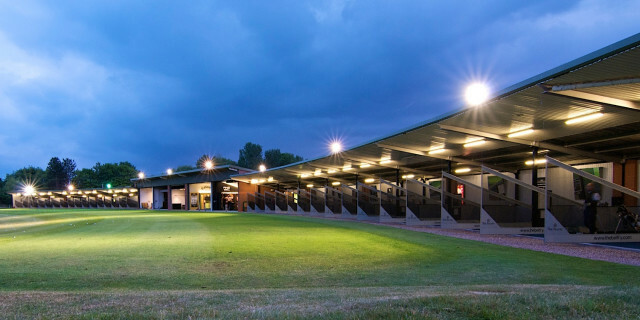 So can you dedicate a few hours each week to hitting balls on the range, grooving what you learn? If you can, then get some lessons booked. And don’t even think about going to the range and hitting hundreds of golf balls unless a pro has given you something to work on. If you take last year’s swing to the range and hit lots of golf balls, the only thing you will achieve is to groove in your faults. When you go for your first lesson, it is important that you sit down and have a chat with him first of all and tell him what you want to achieve. If you are carrying any long-term injuries, tell him because he should be able to give you swing solutions that take into account, say, a painful back. You should also ask the pro if the clubs you are using are the right ones for you. If they are, he will tell you so. Of course he is in business to make money but he will not sell you a new set of clubs unless he seriously believes that your game will benefit. You will definitely improve if you are prepared to spend a bit extra and buy some custom-fitted clubs. He will probably start off by asking you to hit six- or seven-iron shots and he will quickly identify where you are going wrong. One of the most common faults among high-handicap golfers is that they grip the club incorrectly. Your teaching pro will almost certainly want to change your grip, and when you get your fingers in the right position it is going to feel horrendous. The chances are that, initially at least, you will hardly be able to make contact with the ball. But stick with it. There is a right way to hold a golf club – and there is definitely a wrong way to hold it. Most of us are obsessed with hitting the ball a country mile from the tee. Be patient. If you get your technique right with the irons you will eventually get to the point where your pro is ready to show you what you have to do to hit those great drives. If you have spent years struggling as a 24-handicapper, do not expect a miracle fix because it doesn’t exist. You need to be prepared to work at it. And don’t lose heart if things do not go well initially – you will be working on something that is new, something that is alien to you. Trust that your teacher knows what he is talking about, and work on the fixes he has given you. Don’t forget that we throw away many of our shots on and around the greens. Incredibly, almost nobody seeks professional help with their short game. It does not compute. If you are serious about improving, ask your club professional to give you a couple of short game lessons, to cover bunker play, chipping and pitching. And, most crucially of all, get him to look at your putting stroke – and your putter. Are you using the right putter? Are you gripping it correctly? Is there too much hand movement in your putting stroke? Is your head still during your putting stroke? Are your eyes over the ball? Lots and lots of things can go wrong on the putting green. 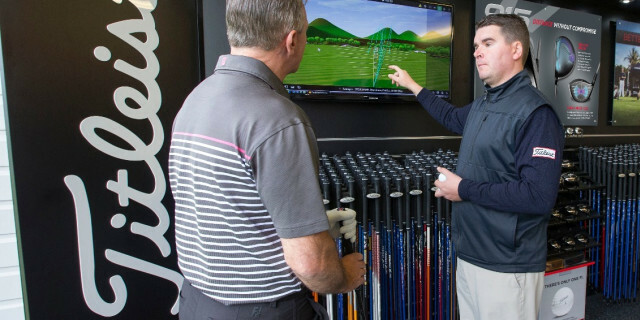 Alternatively, you may just be a fraction out with your alignment – your club pro will tell you what is wrong, and he will fix it. If you really do want to improve this season, book some lessons, practice what you are told and then go out there and have some fun – and win some money from your friends.